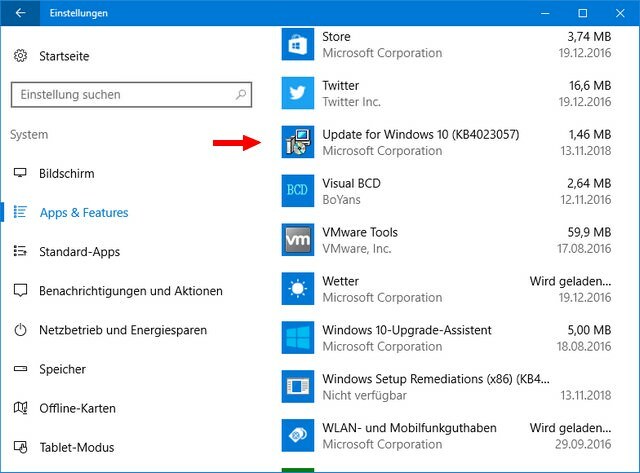 [German]Brief information for Windows 10 users: Microsoft has re-released its KB4023057 reliability update for Windows 10 (versions 1507 through 1803) on January 16/17, 2019. Some users are receiving an update error code 0x80070643. I suppose, the re-release of the update KB4023057 should have to do with the resumption of the rollout (see Windows 10 V1809 announced as ‘general available’). At the moment the KB4023057 article hasn’t been changed – I got aware of the re-release via the hint at deskmodder.de. Here is some more information, what you should know. What is Update KB4023057 for? Update KB4023057, titled ‘Update to Windows 10, versions 1507, 1511, 1607, 1703, and 1709 for update reliability’, is cyclically rolled out by Microsoft. It is available for Windows 10 V1507 (RTM version) up to version 1803 (but not for the current version 1809). Microsoft writes within the KB article on the update that this brings improvements in the reliability of the Windows Update service. This update includes reliability improvements to Windows Update Service components in Windows 10, versions 1507, 1511, 1607, 1703, 1709, and 1803. It may also take steps to free up disk space on your device if you do not have enough disk space to install Windows updates. This update includes files and resources that address issues that affect the update processes in Windows 10 that may prevent important Windows updates from being installed. These improvements help make sure that updates are installed seamlessly on your device, and they help improve the reliability and security of devices that are running Windows 10. The update is only available via Windows Update, i.e. no download from the Microsoft Update Catalog or distribution via WSUS. Can also be interpreted in this way: Business users with WSUS & Co. won’t get this update – Windows 10 Home users are ‘guinea pigs’. Microsoft is testing the stuff on private customers and in small companies with individual Windows 10 Pro computers. Woody Leonhard also has a few words on the update at askwoody.com. 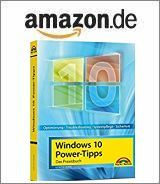 The update deeply interferes with the existing Windows 10 installation, cleans user-set update blockers, creates free disk space on the system drive if necessary, resets the network connection and more. More details may be found in my blog post Windows 10: Update KB4023057 released (Sept. 6, 2018). Within my blog post Windows 10: Update KB4023057 released (Dec. 7, 2018) I also gave some hints that this update (at least in some variants) will be installed as an app. Among other things, it causes people who have blocked the update to get it anyway – see my article for more details. In this article I also touched on some of the problems that users have experienced in the past when installing the update. The colleagues from deskmodder.der mention in the article here that users who have already installed older versions of the update may receive the error code 0x80070643 (ERROR_INSTALL_FAILURE, Serious installation error) when reinstalling. The error also occurs in previous releases of this update in the forums (e.g. here and here). Remedy should be to uninstall the existing update and restart the system. Addendum: Within my German blog I got some user feedback, that uninstalling the update and rebooting fixed error 0x80070643. Windows 10: What is REMSH.exe for? Windows 10: What are Rempl.exe, Remsh.exe, WaaSMedic.exe? This entry was posted in issue, Update, Windows and tagged error 0x80070643, KB4023057, Update, Windows 10. Bookmark the permalink. – It seems on Win10 Pro machines with Defer Quality Updates set, this update ignores the deferral. (It was released on the 15th, deferral is set to 4 days but it’s already trying to install on the 17th). So maybe uninstalling the version that is already installed is not the right approach, since it is newer than the one that is now being installed? I am inclined to just wait, let it keep failing, until Microsoft fixes the new update. can’t uninstall when you look in uninstall windows update its not listed but is listed elsewhere. Not able to uninstall. where is the fix!? Unable to install, receiving error 0x80070643. Checked for previous installations in both “Program and Features” and “Application List, in Settings App” and it wasn’t listed in either of them. Any other suggestions on how to resolve this issue would be appreciated? It is preventing my Laptop from installing the October “Feature Update 1809”.